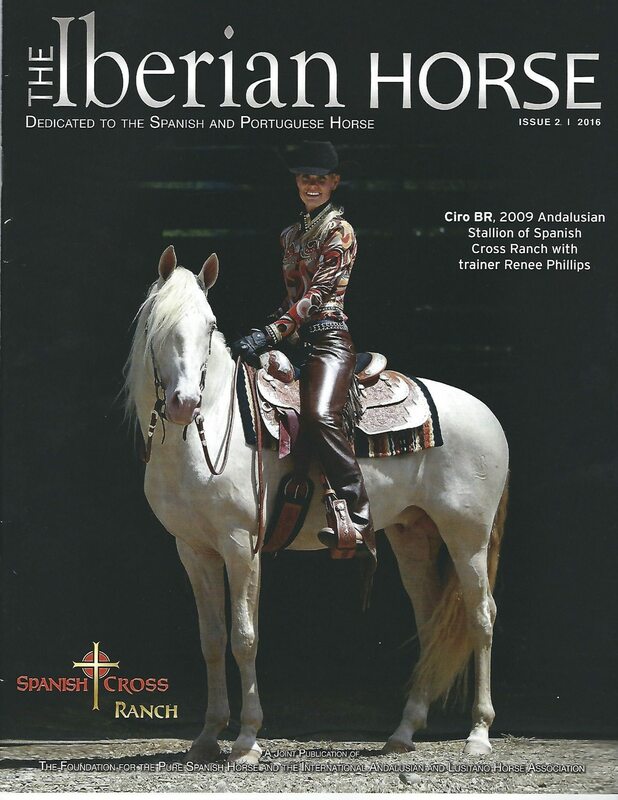 ‘Click Here’ Read The Iberian Horse magazine online now ! The goal of The Iberian Horse, is to bring interesting, and educational editorial pieces to our members, as well as recognize the achievements of our members and their wonderful horses. It is also a wonderful platform for advertising for things like stallions at stud or horses for sale. The Publication committee is always on the look out for quality editorial content, and welcomes submissions to be considered for inclusion in the magazine. For 2018, we will be producing three paper-copy magazines. Issue #1 will be mailed by June. Issue #2 will be mailed by October. Issue #3 will be mailed by February. Issue #3 will be our “Year in Review”, as well as a Directory. The directory will feature stallions, farms/ranches, trainers and the membership directory. New for 2018, the IALHA has approved adding ad space on our website that is connected to an ad purchase in the The Iberian Horse. With our website averaging 6,500 visitors per week, and 26,000 visitors per month, your ad will be in front of more faces than just the IALHA members. The Board of Directors of the International Andalusian and Lusitano Horse Association and the Foundation for the Pure Spanish Horse were delighted to announce in 2016 that we would be working together to jointly publish our magazine. This collaboration is continuing, and allows us to bring members of both organizations the high-quality print publications that so many have treasured over the years. Due to the joint venture of our two organizations, the magazine became known as, “The Iberian Horse” — the change of name was supported by the Board of both organizations as a way to be inclusive of all the horses represented by both organizations. The jointly-published magazine allows members of both groups who have previously had to split their advertising dollars between publications to provide a one-fee opportunity for promotion. We hope you’ll agree that this has been a step in the right direction! CONTACT- If you have questions or are interested in submitting editorial materials, or advertising, please contact us. You can view the Media Kit, by clicking the “Advertise- Learn More” button. Click here to view prices and more advertising opportunities. Back issues of Andalusian World magazine may be easily browsed online in a digital edition.